In the name of diversification, many will seek to spread their assets across a variety of different investment platforms, and rental properties can be an attractive alternative. For this purpose, I recently sat down with Forde Britt, a commercial real estate broker with the Nichols Company in Charlotte, NC, who is well versed in many facets of the real estate industry. He is also an owner of rental property in his neighborhood near downtown Charlotte. At first glance, buying a rental property can seem like an appealing investment opportunity. For example, if someone bought a four bedroom home for $200,000 with a $40,000 down payment, at today’s rates, their 30-year mortgage payment would be right around $1,050 a month. Charging $450 per bedroom would mean that property could be rented out for $1,800 a month. It’s a good rule of thumb to expect an 8% monthly management fee and an estimated 10% loss of income due to vacancy and maintenance expenses. So roughly 20% of that $1,800 will be taken off for expenses — but all in all, the owner could expect to net about $475 in his pocket each month. Even if rent increased by just 1% per year after 30 years, the owner would collect $750,000 in rental payments, and pay a total of $375,000 in mortgage payments. If the value of the house just grew by 1%, the house would be worth almost $266,000 at the end of 30 years. Provided the owner sold it after 30 years, he would have netted almost 2,100% return on their initial investment of $40,000 over the 30-year period, even after accounting for the 18% costs. That works out to a compounded annual return of roughly 10.7%. Now, before you click over to Zillow to look for rental properties to buy in your area and run to Wells Fargo to get a mortgage — it’s important to note that a 2,100% return over a 30 year time horizon is eye-popping at first glance. But if you take that same $40,000 investment and put it in the S&P 500, at the historical average return of right around 8% per year, your return after 30 years would be roughly 900%. And remember, that number also excludes any potential major repairs or other expenses associated with owning a home. 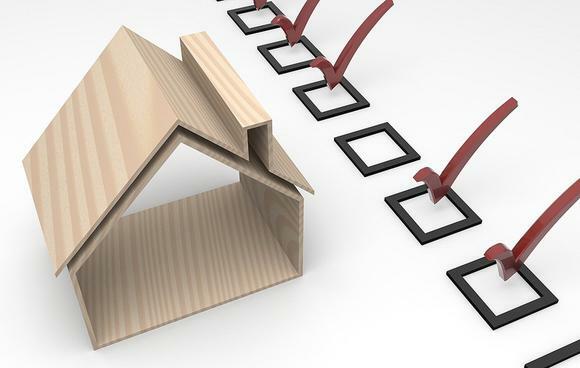 In my conversation with Forde, he highlighted three things that anyone considering an investment in a rental property should keep in mind before they buy a home with the intention of renting it out. Since many people who buy investment properties often don’t buy one in their same neighborhood, or even in their same city, it’s easy to be lured by what is perceived to be a good deal in an unfamiliar market. Yet just because a home is less expensive than those around it, or in an area on the “rebound,” doesn’t mean it’s worth investing in. Often, investors see a home at a low price and think they’ve found a great deal, but you must do your research and your homework on the area to truly evaluate whether or not it’s a good investment. 2. Know your worst-case exit scenario Investors in any situation can be lured into thinking that only the good things will happen, and that’s what they plan for, but it’s vitally important to have an exit plan, too. While investing in a rental property can certainly be a profitable and worthwhile investment — don’t allow it to be such a large part of your portfolio that losing returns from it could ultimately bring you down with it. Forde wanted to highlight how critical it was to have an exit plan if “all of your assumptions don’t work out.” For example, if the home is unoccupied for a few months, the $800 monthly income instead turns into a $1,000 expense very quickly — and that could result in dire consequences if the investor isn’t prepared. 3. Be ready for the unexpected With any investment decision — and almost any decision at all — things can quickly take unexpected turns. For example, if the HVAC unit and the water heater each go out on the same day, repairs could be north of $10,000 — wiping out an entire year’s worth of profit. In this, investors must see that houses can be great investments — but are often full of unseen costs that correspond with them. Being both prepared and able to address those issues when they present themselves is critical. While rental properties can be great investments, like all investments, their returns also correspond to their risks — and now you have one expert’s opinion on what to keep in mind before you make that critical decision to invest in one.